Washington State is quickly becoming a hotbed for plastic bag bans. The City of Mukilteo, which is about 30 miles north of Seattle, recently passed ordinance number 1294, also known as the Solid Waste and Plastic Bag Reduction Ordinance. The City Council voted in the ordinance with a strong 7-0 vote and starting January 1, 2013 retail establishments in Mukilteo will not be able to give customers plastic disposable bags. Instead stores will have to provide bags which are recyclable, compostable or made from 100% post-industrial recycled resin. The City is encouraging shoppers to bring reusable grocery bags when they go to the store. Mukilteo is following in the steps of Bellingham, Edmonds, and Seattle in banning single use plastic bags, and lawmakers are even considering banning disposable bags in the entire state of Washington. The city plans to work with the Mukilteo Chamber of Commerce to encourage residents to use reusable bags over the next year in order to get everyone ready for when the ban goes into effect. This preparation also includes creating a tote emblazoned with the City’s logo to hand out at events and to get residents on their way to life without plastic bags. Custom reusable bags are a great opportunity to market a brand, campaign, or in this case a cause. For the Chamber of Commerce to hand out reusable bags they are helping to spread awareness and educate residents about the ban, but they are also spreading their name and message and each time residents use their bags they will be reminded about the Chamber and their efforts. Reusable bags make a great marketing tool in cities and towns with plastic bag bans because they embody the sustainable ideals that typically are the driving force behind the ban. Customized bags are also incredibly handy so they are bound to get lots of use and turn your customers into a mobile advertising army that showcases your branding message every time they go out and carry your bag. Reusable bags are also becoming trendy accessories that are great for carrying goods home for the market, carrying your lunch to work, books around campus, or lugging a change of clothes to the gym. No matter what it is used for, a customized bag keeps a branding message alive and well. Pollution and the environmental impact of plastic bags was what pushed the City to take this step. “Clearly the voluntary methods aren’t working,” said city councilman Randy Lord, “I don’t think we’ve educated people enough.” Lord draws a valid concern that many people do not willingly make the switch to reusable shopping bags despite the wealth of information regarding the negative impact of plastic bags. Unfortunately, sometimes laws have to be put on the books to force people to make changes they know they should be making anyway. Eventually the people of Mukilteo will get use to the absence of plastic bags and some of the residents may wonder why they did not go plastic bag free years ago. Making the switch to reusable bags takes a little getting used to in the beginning, but over time it becomes second nature to grab your bags when you go shopping. Plastic bags are petroleum based and oil is a non-renewable resource. One day the world will be out of oil so the sooner we can lessen our dependence on it the less devastating it will be when this resource is gone. Oil is also the source of much turmoil. From spills, such as the explosion at the Deepwater Horizon in 2010 to the strife in the Middle East, oil appears to leave disaster and problems in its wake. Just drilling for oil can be dangerous and devastating. Oil also needs to be processed, treated, manufactured, and transported, making its carbon footprint enormously large. Making the switch from plastic bags to reusable shopping bags may not seem like a big, world changing move; it may not even seem like a political decision, but every journey starts with a single step. If every city and town banned plastic bags that would make a huge dent in the amount of petroleum consumed in the United States. Less oil consumed means less drilling will be required and less trade. Mukilteo is taking this step to reduce the amount of plastic used in their city and are lessening their consumption and dependence on oil, which is a pretty smart and eco-friendly move. In addition to the political drawbacks of plastic bags there are a whole slew of environmental issues. Plastic bags are prone to becoming litter since they are so light and can easily be picked up by the lightest gusts of wind and carried off. When stray plastic bags become lodged in trees or shrubs, or touchdown in water they pose a multitude of health risks to wildlife. Small animals can become entangled in the bags which may lead to them starving or unable to escape from predators. Both marine and land animals may also eat plastic bags, mistaking them for food. Once eaten the bags can become lodged and tangled in the animal’s digestive system forcing the animal to slowly and painfully starve to death. Litter is also an eyesore that if left unchecked can ruin the natural beauty of the waterways in the Pacific Northwest where Mukilteo is nestled. Plastic bags can be recycled, but it is estimated that less than 5 percent of disposable bags are recycled. There is a laundry list of reasons why people just do not recycle single use bags. Each city and town has different rules and guidelines for recycling, some accept the bags in their curbside pickup while other municipalities setup drop-off locations to collect bags. Many stores, like Target and Wal-Mart setup bins where customers can drop off plastic bags for recycling, but that requires shoppers to remember to bring their old bags when they go out to the store. The success of recycling plastic bags depends on convenience and the ability of people to form habits. It also hinges on information, many stores that accept used plastic bags for recycling do not do a good job of publicizing their recycling efforts, and so many shoppers may not realize this option exists. Many a plastic bag still manages to find its way into landfills either because people were too lazy or uninformed or did not recycle them, or because they were reused as a trash bag. Reusing a plastic bag may initially seem like a great idea because reusing items is typically an eco-savvy move. Unfortunately, that is just not how it plays out. When disposable bags are dumped in a landfill they can prevent biodegradable materials from breaking down. Materials that can break down, like kitchen scraps and paper, need air and rain to break apart. When items are thrown in a plastic bag and the bag is tied off and hauled to a landfill the items in the bag are cut off from the air and water required to break down. Since the bag itself is not biodegradable and will not break down it prevents the items in the bag from ever breaking down, too. This clogs the landfill with non-biodegradable junk that just takes up space and makes the heap grow taller. There is also concern that plastic bags may break down given enough time and the right conditions; however, the bags will possibly release harmful chemical compounds that will put people, animals, and the environment in harm’s way if exposed to these compounds. Like many other cities that have passed bans the City Council of Mukilteo initially added a charge shoppers must pay to use paper bags. Many similar bans that include a tax or fee have done so to discourage shoppers from switching to exclusively using paper bags. Mukilteo added the fee to offset the expense stores will incur by stocking additional paper bags. Paper bags are actually more of an environmental drain so if they were to become the bag of choice for the majority of shoppers the environmental impacts were be just as dire. Store owners were also concerned that the fee may impact where shoppers do their shopping and whether people may head to stores outside the city limits and the reaches of the fee, and how the expense of stocking additional paper bags will impact stores. In a ruling about a month after the initial measure was passed the City Council removed the stipulation regarding charging shoppers for paper bags. This open dialogue between the City Council and the residents is encouraging because it shows that both sides are willing to work through issues and fine-tune the law to make it the best fit possible. Mukilteo is on track and the countdown to the ban is on. 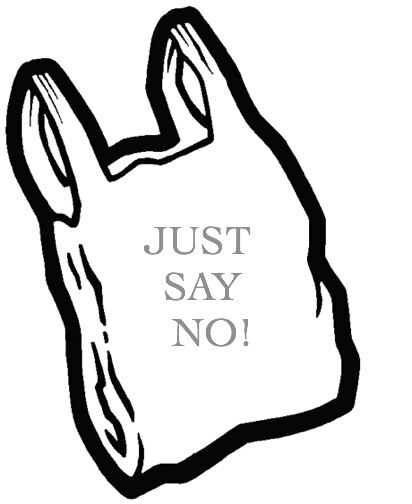 To learn more about Mukilteo’s plastic bag ban go to http://www.stpns.net/view_article.html?articleId=105543586810154414815.